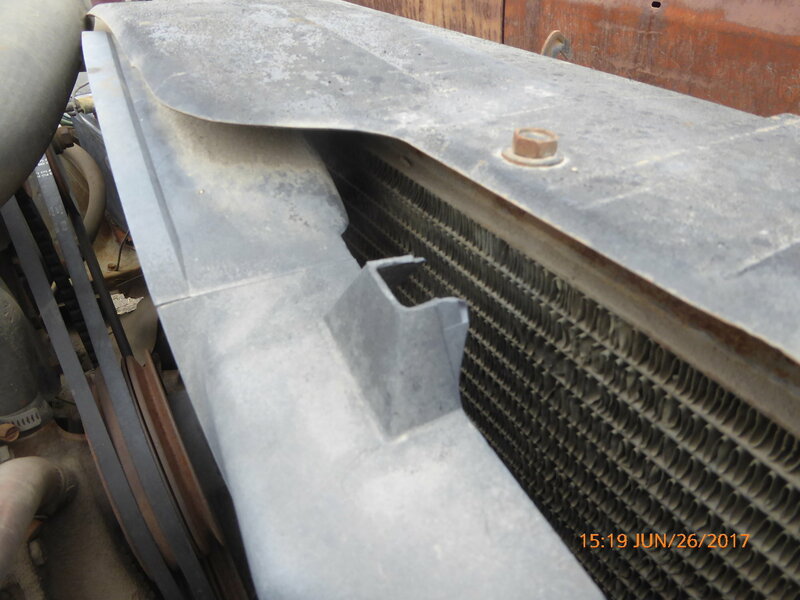 The 2 “towers” on top of my 67 cutlass supreme (330) fan shroud broke - the towers connect to the horizontal, metal radiator cover through 2 bolts. This breakage is extremely common, right? What do owners do to address this? There are no originals in correct condition, correct? The OPGI part is a poor substitute and it at least ¾” too short top to bottom measurement. A picture of what I call the tower is attached. Does the 442 use the same part? The shroud itself is plastic correct? yes, i think it is plastic. It's not rubber, but it could be some poly-something or carbon. You can twist the piece, but it's firm. I have had luck repairing one of those with fiberglass mat and resin. Mine did not break where yours has, but it had a pretty big split and I was able to get a nice smooth patch. One nice thing about using fiberglass is that you can sand it after it dries, or even apply glazing. Does the 442 use the same part? 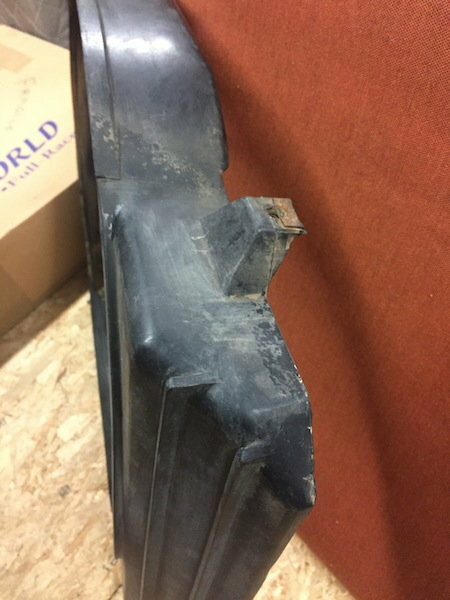 Picture of radiator shroud I purchased for my '67 442. I decided afterwards to go with aluminum radiator and electric fans. From what I have read, shroud is same as Cutlass. Thanks, RandyS for the fiberglas reco. I think that is a good idea. HX3- yes, that looks like mine. Do you still own it? Would you want to sell it? Where did you get it? X2 RandyS Fiberglass mat will work too. Done repairs with that material as well. Therobski- I like your idea. I'll need to find some scrap plastic. Thank you. This is a great forum with great help. Yes, i would think fiberglas would work well. In the Body Manual i saw the bottom of the shroud is supposed to be retained with rubber, not a bolt. It's a small drawing but i think it's supposed to be rubber. This would solve the problem of twisting of the shroud between the upper and lower metal body parts. I found a small piece of junk plastic trim laying around-takes very little. Although the repair was on the bottom of the shroud and not a show piece, I got good at it ( its not ROCKET science) and it was fun to me. By the time I sanded it a bit and repainted the shroud in mat black it looked good as new and the plastic weld is strong.. Thanks so much for the idea. It sounds easy and I like easy after spending the whole summer rehabbing my engine bay. If you google plastic welding kits you'll find a lot of different offerings from cheap (under $50) to really expensive. Thanks, Eric. I didn't know that. Good tip. Fan Shroud - do cutlass w/ac and 442 use same shroud?